People are increasingly turning to an alternative treatment in which vibrations generated by striking gongs, singing bowls, tuning forks and the like relieve aches and pains. // A growing community in Hong Kong and around the world are gathering in wellness centres, beaches and even office meeting rooms for this alternative treatment called sound therapy. 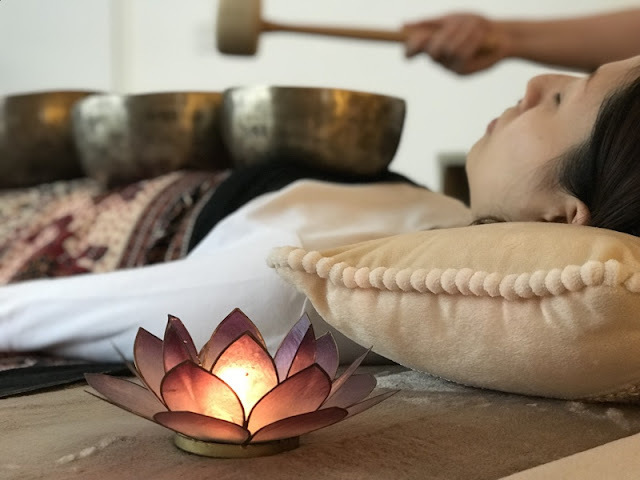 The practice employs sonic vibrations generated by gongs, singing bowls, tuning forks and other instruments to relieve common aches and pains. Besides promoting relaxation, practitioners believe it works by correcting blocked energy flow and out-of-tune frequencies in the body that they reckon lead to various ailments, and can complement chemotherapy. Western-trained physicians remain sceptical about the efficacy of sound-healing approaches although they recognise their ability to soothe. 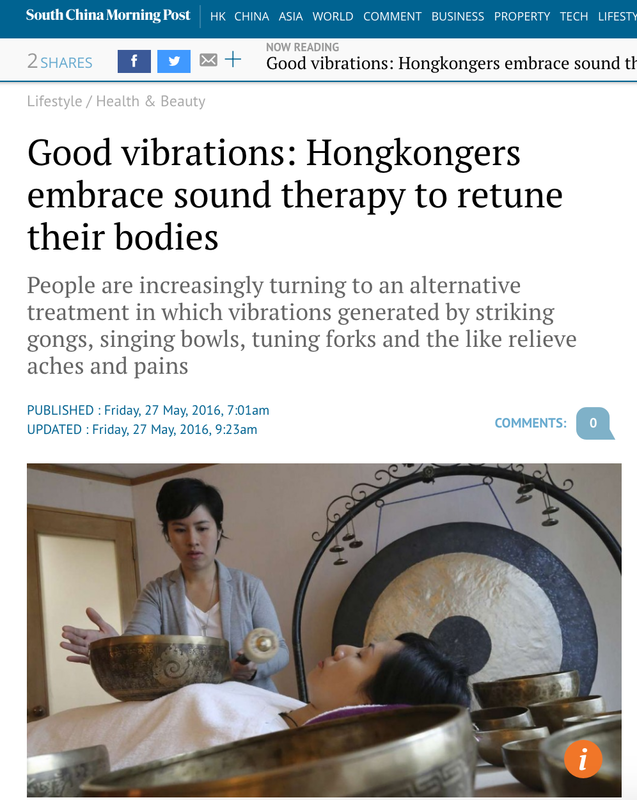 Nevertheless, Jennifer Tang Yee-tung, co-founder of Sound Therapy Hong Kong, became a staunch advocate of the alternative therapy after suffering a personal tragedy. Her elder brother died 10 years ago after a five-year battle with cancer, and she blames the illness largely on his high-stress lifestyle. 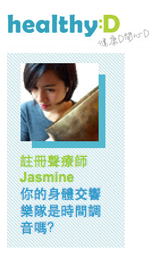 It was Jasmine Hui Wing-chi, her then colleague and eventual partner in the sound therapy service, who introduced her to the healing properties of Himalayan singing bowls. Hui had been hypnotised by the sound of singing bowls after tuning in to a YouTube clip of a performance by Hans de Back, a renowned master of the instrument. She found their resonance was like no other. 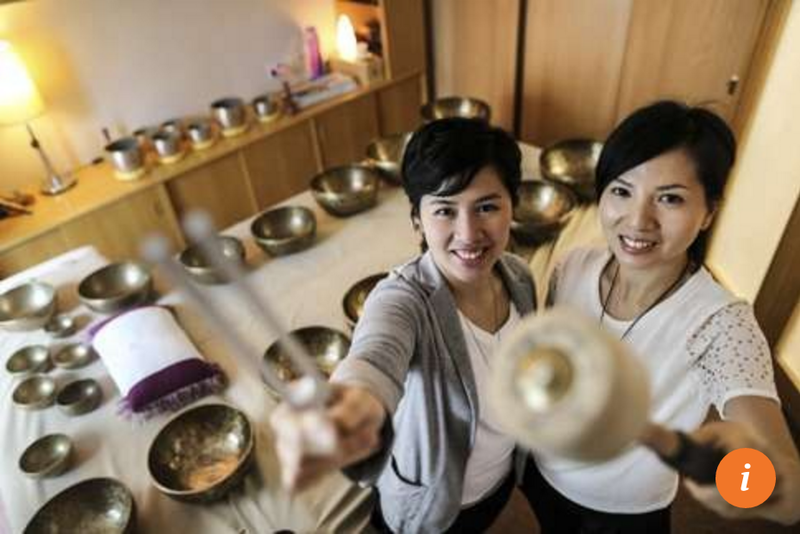 Hui and Tang trained with de Back and eventually quit their jobs to set their Sound Therapy service in Wan Chai two years ago and make it their life mission to promote its benefits. “I believe sound therapy is my true calling in which I found inner fulfilment,” Tang says. Singing bowl therapies are a more serene and tactile affair compared to gong meditation. When someone comes in complaining of backache or an anxiety attack, they would first have the person lie down on a massage bed. Singing bowls are then set out in a ring around the client as well as on the torso before they strike the rims of the instruments with padded mallets. This generates subtle, calming and harmonic tones – which many liken to the sound of “om” or “aum”, the sound associated with Hindu and Buddhist chants. By placing one bowl on the chest and another on the abdomen, the sound waves aren’t only heard by the ear, but also felt by the body. “We use singing bowls to listen to what their body has to say – it doesn’t lie – before we diagnose and treat the patient,” Tang says. For the uninitiated, the singing bowl might sound the same when placed around different individuals, but she can tell that her instrument is missing some of the overtones because a poorly organ would absorb those frequencies to self-heal. // Singing bowls seem to have worked for Sybil Chan, whose family has a history of thyroid disease. Chan always worried that the same fate will befall her and was distraught after being diagnosed with an overactive thyroid last year. “With hyperthyroidism, I felt like a car parked without killing the engine. I hardly ever felt rested and was walking on an emotional tightrope,” says Chan. She sought help from Tang and Hui and, after 18 months of treatment, Chan says she has being able to keep her thyroid hormone levels in check. Whereas she used to suffer mood swings associated with the condition, and was often nervous and fatigued, Chan now has a rosy glow on her cheeks and is more energetic and outspoken. She has become such a convert of the power of singing bowls she even bought one to practise at home. Asked what she liked best about the bowls, Chan says, “[The vibrations] feel just as satisfying as scratching an insect bite”, prompting Hui and Tang to burst into laughter. *Please note the above are parts of the article extracted from full article.